Taking inspiration from the term ‘ashtanga namaskar’ meaning 8 parts or 8 limbs bowed or greeting ( to the earth) I offer 8 points to consider and encourage your investigations into the path offered by yoga teacher trainings. As you read the below notice what resonates or sounds familiar to help you decide if this is the journey for you! Have you turned into a yoga bunny or yoga ‘bro’? Can you remember the turning point when you just kept coming back to class- once a week, twice, 3 times- a membership? Theres no denying that the process of yoga pulls you in- why? Because yoga is a system of health and healing that helps us feel good from the inside out- by working from the outside in. More importantly than feeling good is the feeling of balance and sense of perspective that emerges from a regular practice that positively influences our lives. Some people say their practice is like a home- coming, a regular check-in that leaves them refreshed, calm and at peace. Yoga is experiential and therefore its benefits are both personal and universal - in yoga speak the effects are on both the micro and macro-cosmic levels. This is part of the mystery that has kept people studying and delving deeper into the layers of this ancient practice. Most of us first get into yoga through the physical practice of asana. This makes sense as physical yoga classes are generally what is on offer as most yoga studios, gyms and through online resources. Likely by the time you consider doing a teacher training you will have been going to classes regularly( see can’t get enough above ), might have a favourite teacher and a self practice. Taking a teacher training provides you with longer practice sessions, hands-on workshops and discussions where more attention is given to details such as physical and energetic alignment, breath, feeling and exploration. You will also have space to accumulate and process your own experiences which is where a lot of the ‘aha’ moments take place. You will have the chance to explore more challenging postures and movements that may take your practice to a new level. The purpose of the asana practice is to render the physical body ( annamaya kosher) strong, adaptable and pure for long periods of intense mediation. If this sounds familiar, you will most likely of discovered that yoga is more than just a physical practice. How? from your experience of feeling through and after each practice, perhaps by further research or philosophy artfully weaved into class by your teachers. Past the physical does generally mean getting into the ‘spiritual’ - which is the real essence and heart of yoga- that which connects you to your spirit. In yoga our greatest connector is the breath. In Latin breath translates as “spiritum’ and when we talk about someones spirit we generally mean there essence, vitality, soul or life-force. Yogi’s know this as Prana- an all pervasive and subtle force of motion in creation that we could simply call energy. 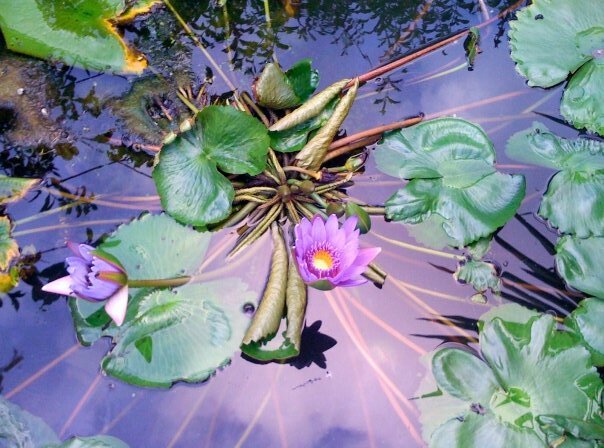 Through the asana practice and breath work- pranayama ( breath regulation/expansion)- we start to work with the subtle energy body ( pranamaya kosha) to create profound shifts in our human structure so we are able to experience the higher bodies and states of awareness bliss and ultimately union with the source. Studying some of the enlightening main yogic texts, The Yoga Sutra’s , Hatha Yoga Pradipika and other texts that resonate with the course tutors is also a huge part of TTC so expect some academia and daily meditation. with that of the instrument of seeing” . An interpretation of this could external labels, items & ideals do we use to define ourselves and the image we out out into the world- who ‘we think we are’. All the practices of yoga are to remove these separation causing ego binders and strip us back to the bare essentials where we can see ourselves as one and the same as every other thing. This process and its up’s and downs can lead you to greater self expression , confidence, creativity, new insights revealing thought patterns and habits, ability to feel comfortable in your own skin, to have a greater level of contentment and even form better relationships- ultimately becoming a more peaceful, understanding and loving human. ( santosha). The process of a yoga training asks you to be authentic and connect in a way that aligns your heart and mind. You may discover new ways to live from the heart that have profound benefit on self and others with little wasted energy or resource and that make you truly happy. It is a reality that the a good modern yoga teacher has an important role and responsibility in society- to have positive impact on individuals, the community and the environment. The key to this is to practice what you preach. A good way to discover if your are living with integrity is to ask your self some simple questions- what is really important to you ? ( make a list), do you take ownership of your actions and reactions? ( be honest and kind to yourself) and do your actions support what’s important, you & those around you? Balance within in the context of yoga doesn't just mean standing on one leg or on your hands- though we can learn a lot about the state of our mind and body from these challenges. Ayurveda is a 5,000 year old system- a natural healing science and root of the tantra’s (root of yoga) that is still practiced by many people today in India and beyond. Ayurveda honours the dynamic process of health that changes as we do with the seasons, our life phase, our body type and with what activities we do- recognising there is not one size fits all method to vital health. The ultimate aim of this process was to release or find Soma - a regenerative elixir that bestows radiant vitality even immortality on the receiver. In a TTC you will learn a little about ayurvedic diet, the dosha’s ( forces that build and effect your being) and the elements that form the basis of ayurveda. Not enough emphasis is placed on intuition in todays society. Yoga takes you out of your head and other distracting social demands or devices that hinder intuition and asks you to get into your body, initially through asana, breath work and integrative mediation. You may feel that your experiences will be helpful to others or have received some insight that you have a call to share. Check in with your self about the source of this calling ( being wary of the ego!) and start to investigate. You could talk to a teacher or friend about this feeling or just follow your heart. Remember yoga is a life path and there are no short cuts to being a great teacher just as there are no short cuts to true happiness. 8. Your inspired by community; Sangha is the sanskrit and buddhist word for community. As well as the rapidly growing global yoga community you'll find smaller communities centred around local studio’s and teacher communities that support one another. Your sangha is a bit like your tribe for sharing discussion, practice and ideas or coming together for Kirtan ( group devotional singing ) or darshan ( beholding a sacred form). Perhaps you have felt inspired by teachers or friends who have made connections in this way and given and received support. In practical terms once you start teaching your sangha is a pool for work exchange such as recommendations or covering classes. Your sangha also provides a space in which you can talk openly about yoga without boring those who aren't into the practice! On the global level -sangha can be both inspiring and confusing. The internet social media creates a great platform for community for those who can’t get to a physical class and connects people from all around the world which is wonderful. The confusion comes from advertising that use’s yogas growing popularity to buy into a product or lifestyle that could potentially take you further into ego-centred attachment. So choose a sangha that inspires, supports and uplifts your vibration and do the same for others as you continue on your sacred life path. When I first started attending yoga classes I would wear some old stretchy trousers and a vest and just rock up hoping there was a space. After some time I sought out an eco-friendly mat and then purchased a strap that rarely got used. If there was yoga fashion (which there must of been) I wasn't aware of it and it didn't effect my experience of the class or myself in the class, which was medium busy most of the time. Over the past few (say 5) years as the world of wellbeing has exploded into the mainstream there has also been a massive explosion of well being kit! So much fashionable Yoga stuff! Stuff that looks pretty and helps us look hot but feel cool while we’re ‘doing’ yoga- but who knew we needed all this equipment to re-connect to our essential nature? How do we feel about this, how useful is this stuff and and how well intended are all these ‘cant do without’ accessories? There is no doubt that as humans we like to hunt out, gather and adorn- with things that can help make our life easier and things that we really don’t need. Who has a pair of jazzy yoga leggings and more than one mat..? hands up, me too and I like them- the mats more than the leggings. And this is the issue- yoga is the systematic process of going back to the source of pure consciousness - essentially towards wholeness. This has been traditionally explored by abstaining from excessive consumptions, increasing mindful awareness and observing non- harm (ahimsa) to self and others. Our collective and individual recent evolutionary experience’s have shown us directly the harm of consumeristic patterns- on how we attribute value to ourselves, to things and our sense of self worth and what excess and waste does to the planet. Mat spray, hip water bottles, toe socks, yoga sweat wipes, wheels and precious stone mala’s are all up there on the ‘must have’ lists of what you simply cant do with out as a modern yogi. Some of this stuff can be useful and make life a little more convenient - especially if your hitting the road for some yoga festival action (more of these too!) and need to pack light. Definitely a travel mat can make a big difference to how your shoulders feel at the end of a long journey, and stepping onto it will help soothe all the kinks from the day. But who is doing the soothing- is it the travel mat, the presence of your Lapis Jade mala and breathable tank or is it you just being, just breathing? Do these objects make you appear a good yogi, living the yoga life (?) or is it very clever marketing disguising materialism creating and nurturing a need through our human weakness- desire. Not that desire is bad, in-fact desire is a motivating force that can lead to some great achievements - though it can ultimately bring us pain if we are bound to the fruit of those achievements by our ego. The consciousness of self-mastery in one who is free from craving from objects seen or heard about is non-attachment . Yoga Sutras .book 1, thread 15. It takes a strong will ( still working on mine) to not be susceptible to this kind of sneaky self- love based promotion and this is exactly the kind of inner strength that yoga seeks to create. It is innate within all of us, but sometimes hidden under so much layers of non essential stuff- bought or absorbed that it takes a huge, guided and honest effort to strip back and to truly become comfortable with ‘less is more’. Do we need less ? For most people the answer is yes- we all can be familiar with the weight of having to much clutter. So our minds also need to cleared of the idea that to ‘start or become this i need this (insert piece of i.e activewear) ’: a refresh, reset and then hopefully a recycle is essential. I would also like to extend this notion to those who have just started on the teaching path amidst all of the pressurised social yoga hype: yoga is not just about feeling good all the time and telling other people how they can feel good too. Yoga is a process of increasing awareness and attention through connection ( though some would say mastery) of body, breath and mind to become a liberated being- Jivanmukta. This slow process is going within towards the true naked, neutral self which is un-coloured by fashion, fads and marketing. A true yogi is not impressionable and radiates soul-force energy. They are austere with an inner vibrancy which is always relevant to the now. So what is an Essential Yoga Tool Kit ? Really all you need is you and your good intention. You don't even need a mat, you don't need a whole lot of time and you don't need £80 quid leggings and a bottle of mat wash. Please don't think that you do! The most valuable thing to remember is to feel the breath- listen to it and feel it in as many moments as you can. This will slow you down creating more time and opportunity to feel. Feel your breath in connection to your heart and drop your awareness deeper within- the heart needs no accessories to know its truth. Explore to find a teacher who can guide you humbly and clearly in a way that resonates and moves you. Don’t worry about the hype and gloss. Yoga is for life, for everyone, it doesn't matter what your wearing, where you go to class and what asana you may do ( that isn't the only path!). Below are some questions that may help you discover if you need to update or even throw out your current kit! Are you becoming more connected to what serves yourself and others through expanded intuition? Is it easier to ‘just be’ for some time with full attention on just being? Has there been a shift in what brings you Joy? Can you start to see beyond your thoughts becoming more self aware ? Are you moving towards and increasing your capacity for stillness ? Chakra literally means wheel or ring. Chakra’s are spinning vortices of radiant energy located at vital centres along the spine, connecting nadis ( psychic tubes,passage ways) to various bodily sheaths (kosha’s) on the physical,subtle and causal levels. 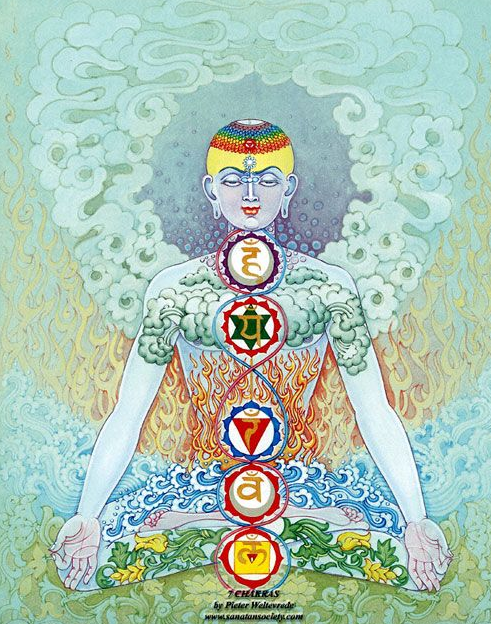 Chakras as receivers pick up vibrations and distribute them through out the body through the nadi’s- so they both take in and give out energy- accumulating it, transforming it and then transferring it. Therefore if a chakra is out of whack - too closed or too open we can feel this in our whole being and we feel and act off balance. Chakras are also meeting points for the two main channels- ida ( moon) and pingala (sun) which weave through the spine and cross at the chakras centre providing them with a direct source of balanced energy. Generally we want to keep all our systems in balance, though sometimes it is nice to take our awareness and energy to a specific chakra and corresponding body part as a way to feel more deeply and connect to what we need, through feeling and deep listening. There are many of these energy wheels residing within the body so generally we focus on the seven main ones that can be felt through experience. Manipura: Seat of the Fire element. Yellow colour. Located around the navel. Power, energy, vitality, purpose, humour, anger. The Sun. Mantra: Ram. To Act.